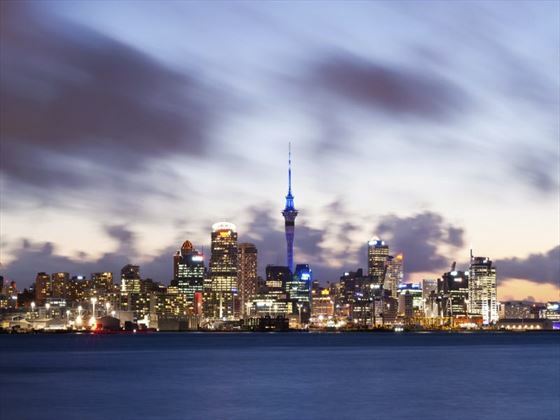 Today you’ll arrive in the bustling city of Auckland, where you’ll be transferred to your hotel. The rest of your day is then free for relaxation and your choice of activities before you have a welcome dinner with your tour guide and group. Today you’ll leave Auckland and head to the pretty Waitomo Caves. Here you’ll take a boat ride through a majestic grotto containing thousands of glow-worms – an amazing sight. 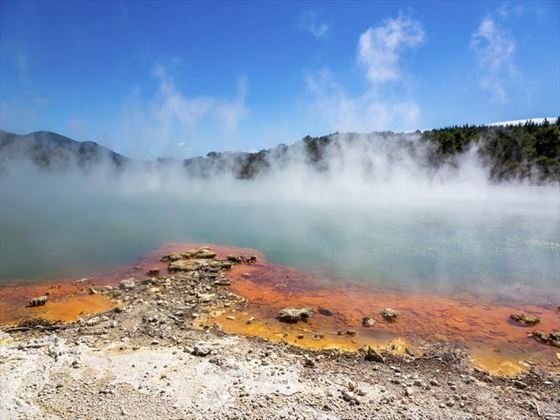 Later you’ll continue on to Rotorua which is home to the vibrant Maori culture as well as being a hotspot for geothermal activity. In the evening you’ll enjoy a traditional Hangi feast where you’ll learn about the customs and the traditions of the Maori people. Today is a free day to explore the charms of Rotorua. There’s a great range of activities for you to choose from a visit to Agrodome Farm Show, Rainbow Springs Nature Park to see a working kiwi nursery and visit the Te Puia Thermal Reserve. Perhaps join a Hobbiton Movie Set tour to see some of the filming locations from the Lord of the Rings movies, take a drive to visit Rotorua’s hot-springs and mud pools or explore Redwood Treewalk with a Maori guide. Today you’ll head out on the road again, driving on the Thermal Explorer Highway. Here you’ll pass the Huka Falls and enjoy the tranquil beauty of Lake Taupo. You’ll then cross the impressive volcanic plateau of Tongariro National Park and reach Wellington, New Zealand’s quaint capital city. 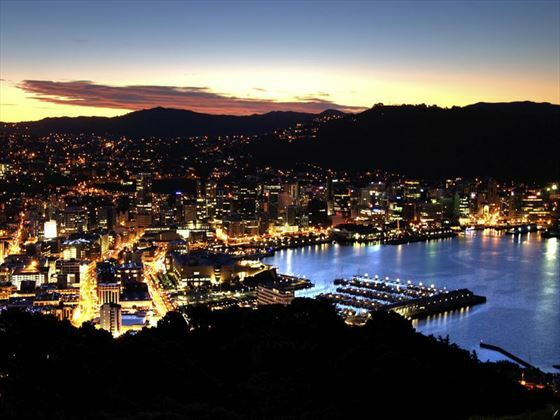 On day five you’ll take a sightseeing tour of Wellington, where you’ll see many of the city’s best sites. 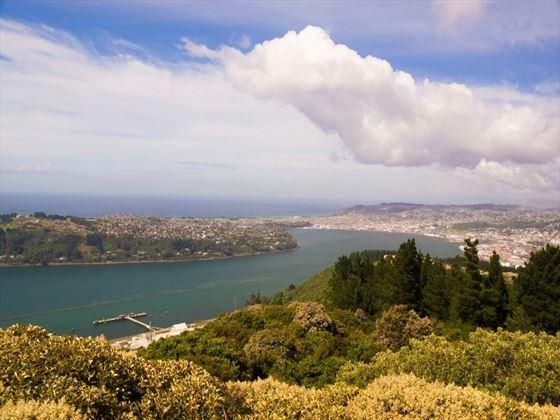 On the tour you’ll see New Zealand national museum and the fantastic views of the city. 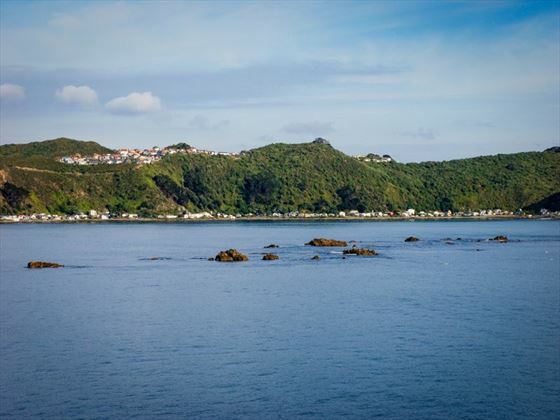 Today you’ll board the famous Interislander ferry to cross the Cook Straight between the North and South Islands. 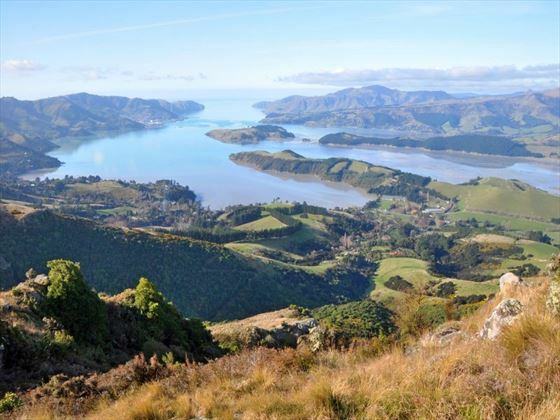 You’ll arrive at the pretty town of Picton where you’ll re-join your coach and travel southwards to the South Island’s largest city, Christchurch. 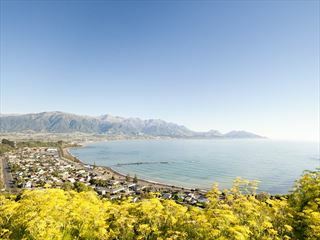 On day seven you’ll board the TranzAlpine on which you’ll enjoy one of the world’s most scenic rail journeys. 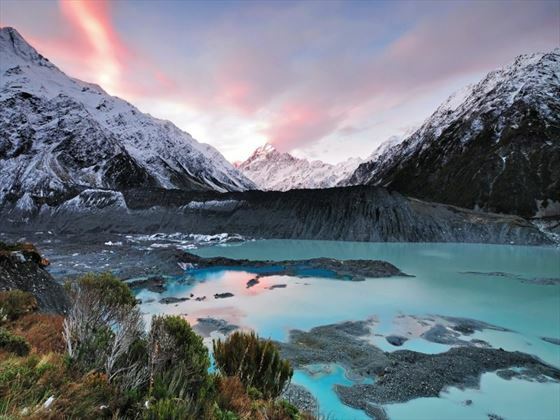 Passing through the jaw-dropping New Zealand countryside you’ll be treated to exceptional photo opportunities before arriving at Arthur’s Pass, where you’ll disembark and continue to Hokitika. Here you’ll see jade carving and also get the chance to enjoy the wonderful glacial scenery including the valley of Franz Josef Glacier. You’ll then check in to your luxury eco resort for a delicious four-course dinner. 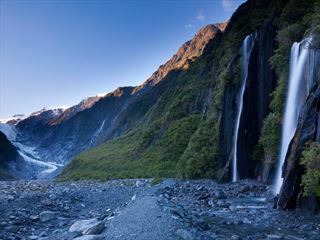 Enjoy more superb scenery today as you travel along the west coast toe Haast and then onwards to Queenstown. Known as New Zealand’s Adventure Capital, Queenstown has a wide range of activities including watersports, bungee jumping and skydiving. In the evening you’ll have a choice of four fantastic restaurants. On day nine you’re free to choose from a selection of activities including a visit to the sites where The Lord of the Rings were films, you could take a thrilling ride on the Shotover Jet Boat, take a Skippers Canyon adventure, a river safari, take a bike ride along the tranquil country roads of Lake Wakatipu or set out on a winery tour. 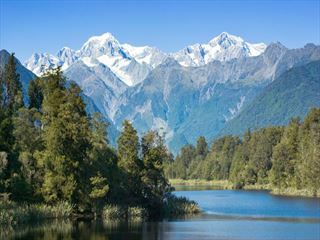 Today you’ll continue your tour passing The Remarkables mountain range to Fiordland National Park. You’ll then travel along Milford Road and take a cruise to explore the Milford Sound for some of New Zealand’s most dramatic water scenery. You’ll then head down to the lakeside town of Te Anau for an evening enjoying a special Taste of Fiordland dinner. 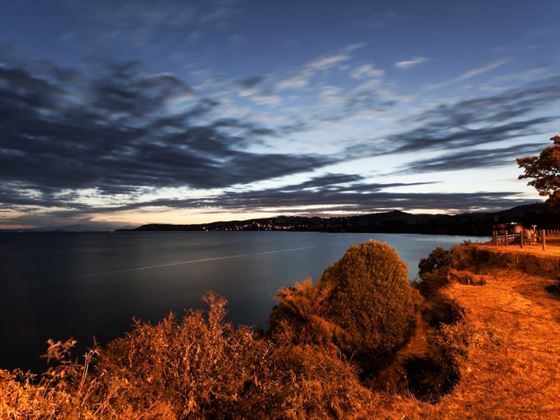 Today you’ll journey to town of Dunedin in the southern territory of the South Island. Drawing on its Scottish influences, Dunedin has some wonderful architecture to explore and some of the quirkiest features in New Zealand including the country’s only castle and the only land Royal Albatross breeding colony in the world. Today you’ll visit the impressive Moeraki Boulders before heading to Mt Cook National Park where you’ll enjoy some more stunning scenery. 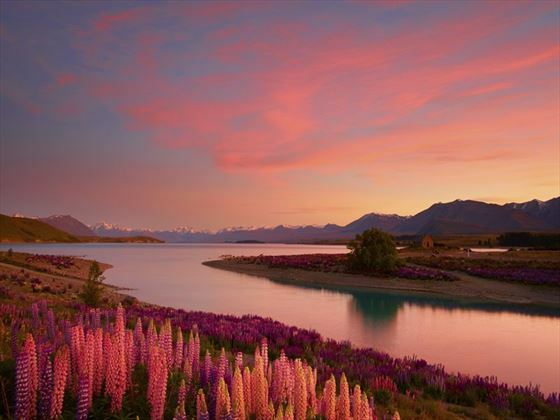 On the penultimate day of your tour you’ll journey to Lake Tekapo, another of New Zealand’s beautiful bodies of water. Here you’ll visit the Church of the Good Shepherd before heading back to Christchurch for a farewell dinner with your tour group. After breakfast you’ll transfer to the airport where you’ll catch your flight home.